When it comes to parties, I really don't think you need an excuse to throw one. "Just because" can be one of the best reasons to host one. But sometimes it's fun to have a point to your party. Better yet, it's nice to have a guest of honor. 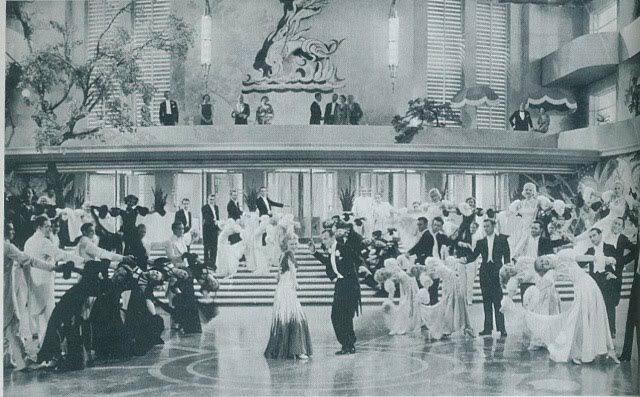 For the past few months, I had been mulling over ideas for a party. Maybe a birthday party for somebody? A bon voyage fête? And then late one night, it hit me. What about a party in honor of Julia Reed? Now, if you're thinking how neat it is that I know Julia Reed, stop. I don't know Julia Reed. I'd love to know her, but I've never met her. 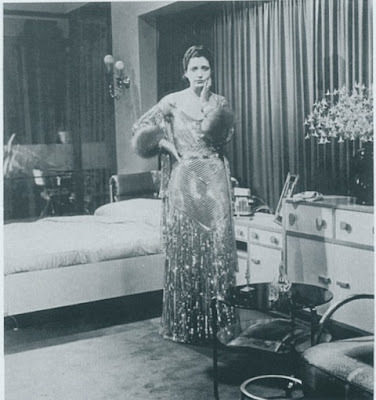 I adore her writing, admire her sense of humor, and think that she must be the life of every party she attends. But she didn't attend my party. Rather, she was the guest of honor in absentia. 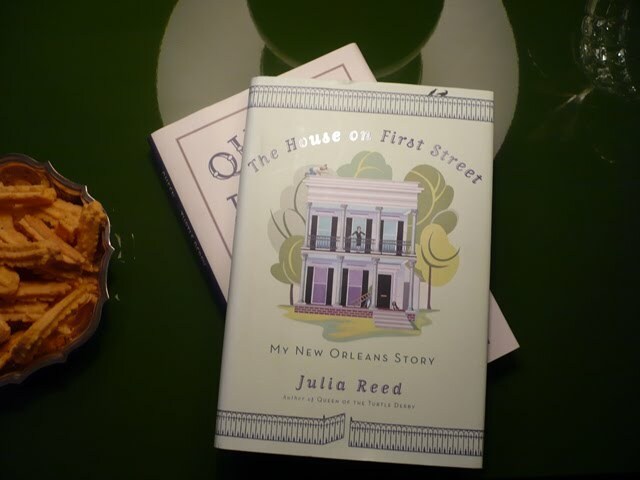 I'm sure this sounds crazy to most of you, and maybe it is crazy, but I have a group of neighbors and friends who are just as crazy about Julia Reed as I. 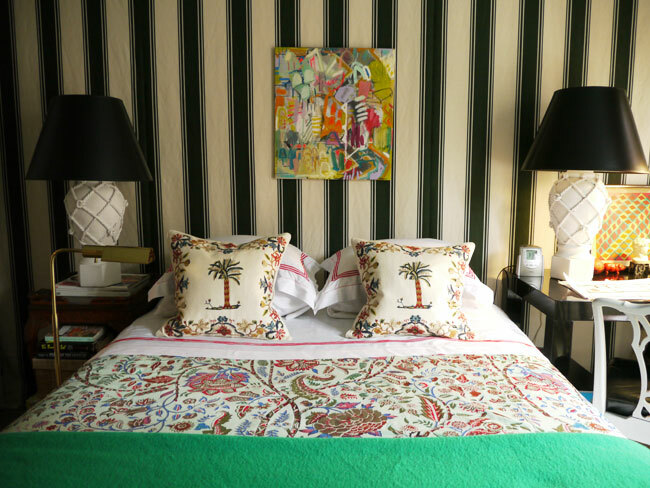 When we get together for drinks or dinner, Julia Reed inevitably comes up in conversation. We cook her recipes, drink her drinks, and talk about her like we know her. That's why I knew I could throw out the idea of having a Julia Reed party and not worry that they would think I had lost control of my mental faculties. 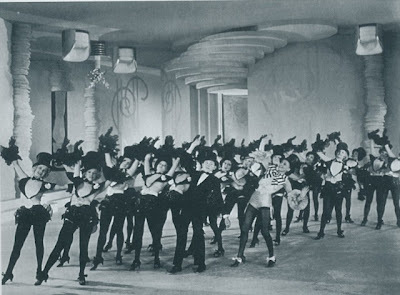 In fact, everyone was gung-ho in favor of the party. After all, they knew that any party with Julia Reed (real or imaginary) means good food and a lot of libations. So let's start with the drinks- sometimes, they're the most important part of a party. 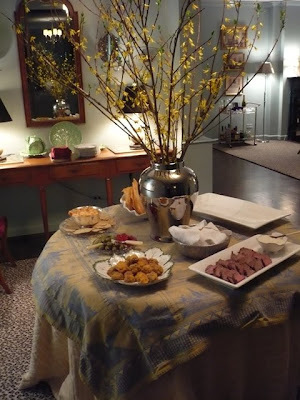 In honor of New Orleans, the home of Julia Reed, I served French 75s, one of my favorite warm weather cocktails. (You know that any drink with gin and champagne can't be half bad.) My neighbors David and Scott brought Satsuma Stingers. And of course, there was wine. A lot of wine. I wanted to take a photo of my drinks table (the living room half of the Kittinger table) once it was set up and looking pretty, but I didn't get a chance to. Once everyone arrived, the table immediately looked like it had been hit by locusts. I guess that's a good sign, right? 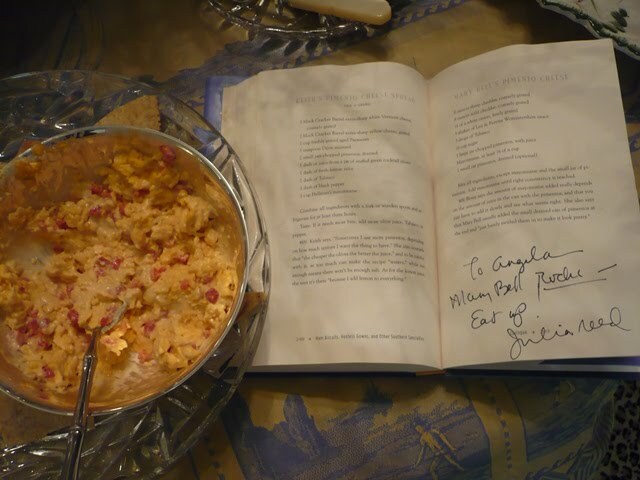 For the food, we wanted to serve dishes that Julia Reed has written about in her books and her former New York Times food column. 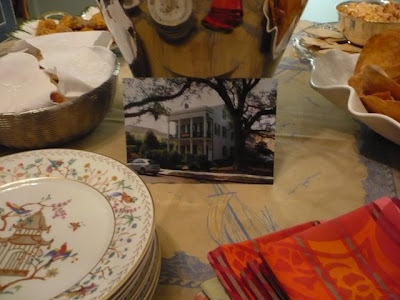 Because she is Southern, we are Southern, and our style of entertaining is Southern, it means that the food mostly consisted of cheese, pork, and beef. 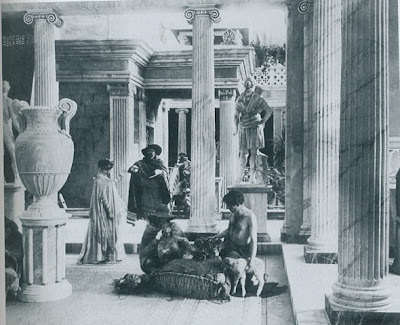 How my ancestors lived to such ripe old ages, I haven't a clue. If you've read Queen of the Turtle Derby and Other Southern Phenomena , you might remember Julia Reed's chapter on funeral food. 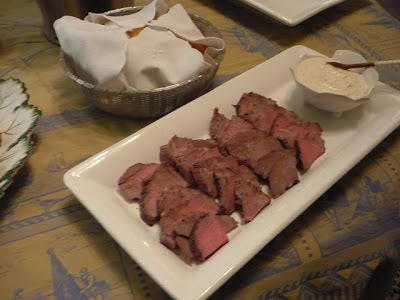 It used to be that anytime somebody died in the South, you showed up at the family's home bearing a beef tenderloin. Fortunately, nobody died around here, but I did serve a really tasty tenderloin with a mustard horseradish sauce. 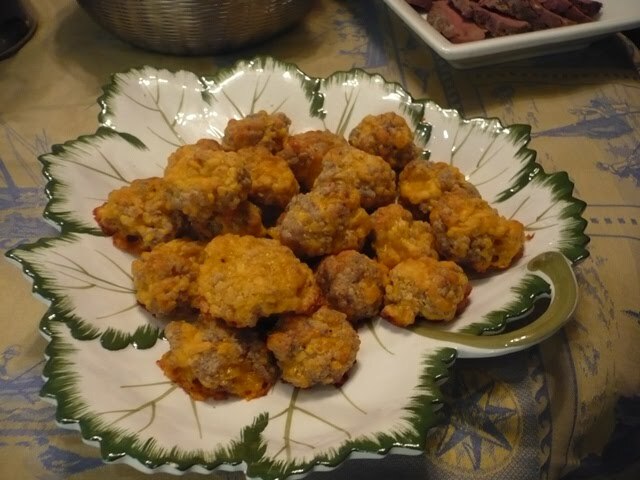 Some of you are probably very familiar with Sausage Balls. If you're not, then you're probably thinking that they sound kind of trashy. Listen, don't knock 'em til you try 'em. My sister serves these to her guests in San Francisco, people who are either super health conscious or big time food snobs. They might snicker, but then they proceed to inhale them. Julia Reed also wrote about these tasty morsels in Queen of the Turtle Derby. My friend Angela is a fellow Julia Reed fan. When she met Julia Reed at a book signing, she had the author autograph her copy of Ham Biscuits, Hostess Gowns, and Other Southern Specialties: An Entertaining Life (with Recipes) not on the title page, but rather on Julia Reed's favorite recipe. Want to know what it is? 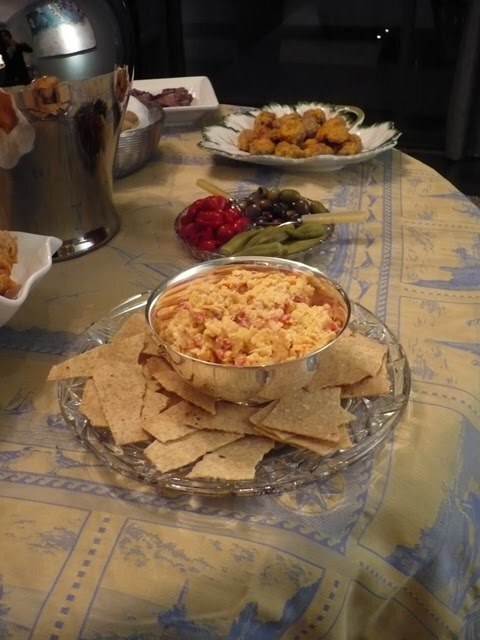 Mary Bell's Pimento Cheese. Angela made the pimento cheese, and it was delicious. You can see how we made a dent in it. 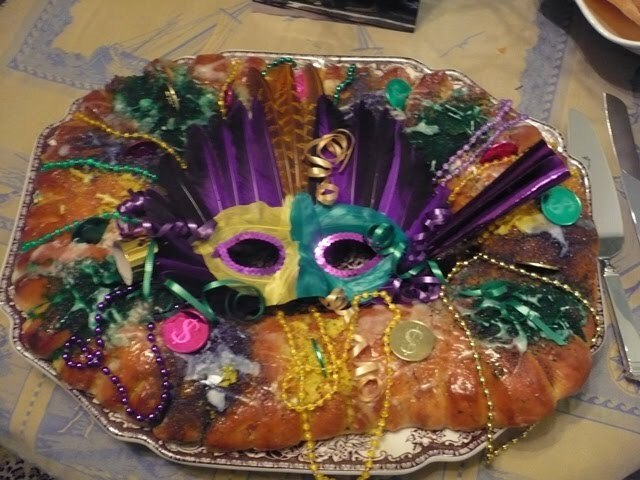 And of course, we couldn't forget that it's Mardi Gras, so David and Scott brought a King Cake. When Scott ordered it, the bakery asked him if he wanted it decorated. Scott asked them what that entailed. Turns out it entails beads, doubloons, and that lovely feathered mask. Oh, and horns too. Why not go for broke? Angela, David, Scott, and I just had to get our picture taken with...it. That photo placed in front of the King Cake? It's a photo of Julia Reed's New Orleans house that she wrote about in The House on First Street: My New Orleans Story . David and Scott took it while they were down in New Orleans last weekend. (Told you we were crazy for Julia Reed.) 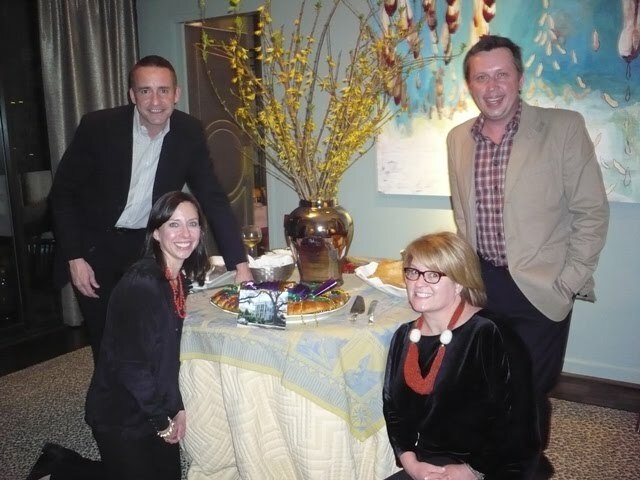 In a way, it almost made us feel as though our guest of honor was actually at the party. Well, almost. Julia, next time you're in Atlanta, come on over to Plaza Towers. We're ready for another party! Back in my mid-twenties, I bought a vintage Kittinger Regency dining room table that came with two leaves. 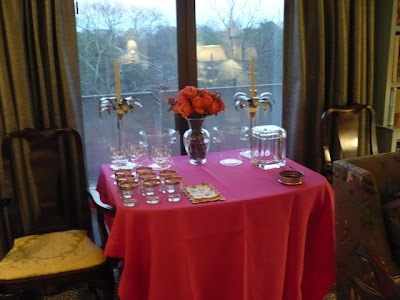 It seemed quite grown up at the time, and I just knew that I was going to host seated dinners for 14. 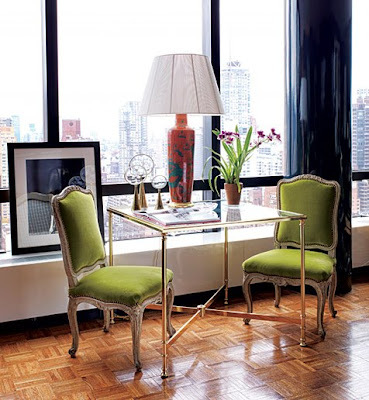 After I moved into my condo a few years ago, I realized that this grown-up table was, well, a little too mature and staid. Not really my style anymore. And those dinner parties for 14? Turns out that 8 tended to be the maximum number of guests at my dinners. So, I set out to sell the table. Have you tried to unload a Kittinger dining table recently? Nobody seems to want them anymore. It's a shame, really, because the table is really well made and actually quite attractive. But nobody wants something this traditional anymore. Realizing that I was stuck with the table, I took it apart and now use one half as a small breakfast table in my kitchen. The other half got moved into my living room where it serves as a drinks table, a repository for books, and at times a small dining table for two. I'd love to find some type of cloth for the living room half as the table is a tad too dark brown for me. What I would love to find is an antique textile to drape over the table. 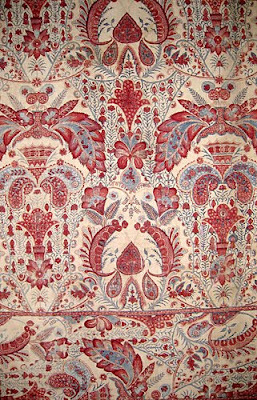 I'm absolutely in love with this cotton mezzara from Genoa, c. 1860s. 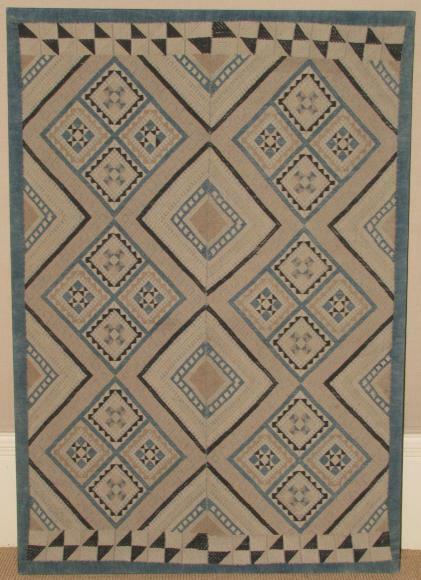 It's available through Soane Antiques. 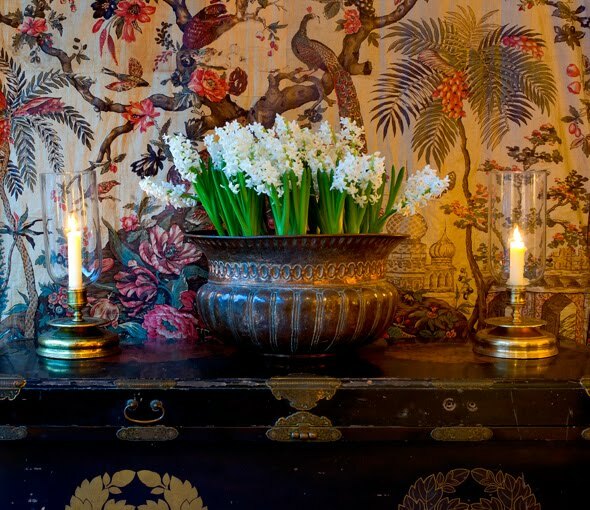 That gorgeous shot at the top of the post is from Soane Antiques' website as well, and it shows the mezzara in the background. Of course, if I were to use something like this on my table, the overall design would kind of get lost. But still, it's awfully beautiful. 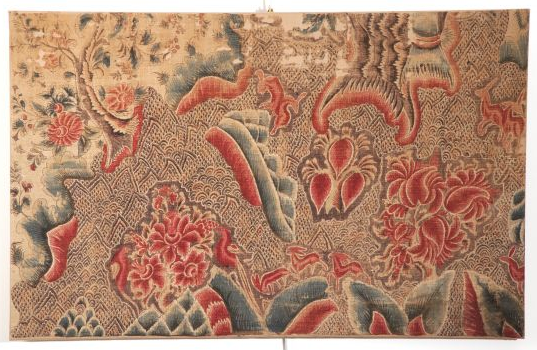 This is only a fragment of an antique Palampore from India, early 18th c., also available through Soane Antiques. Perhaps I could find a reproduction Palampore that would be large enough to use a cloth. 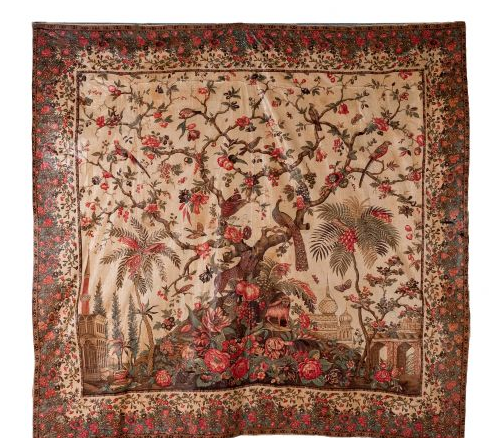 What about something similar to this Indian export 18th c. chintz panel from Cora Ginsburg? 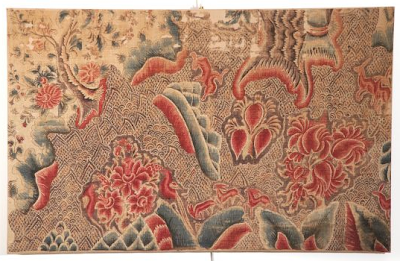 Switching gears a bit, this early 20th century Chinese wedding blanket, available at Kathleen Taylor The Lotus Collection, might work as a more modern looking alternative to the more traditional Indian prints seen above. 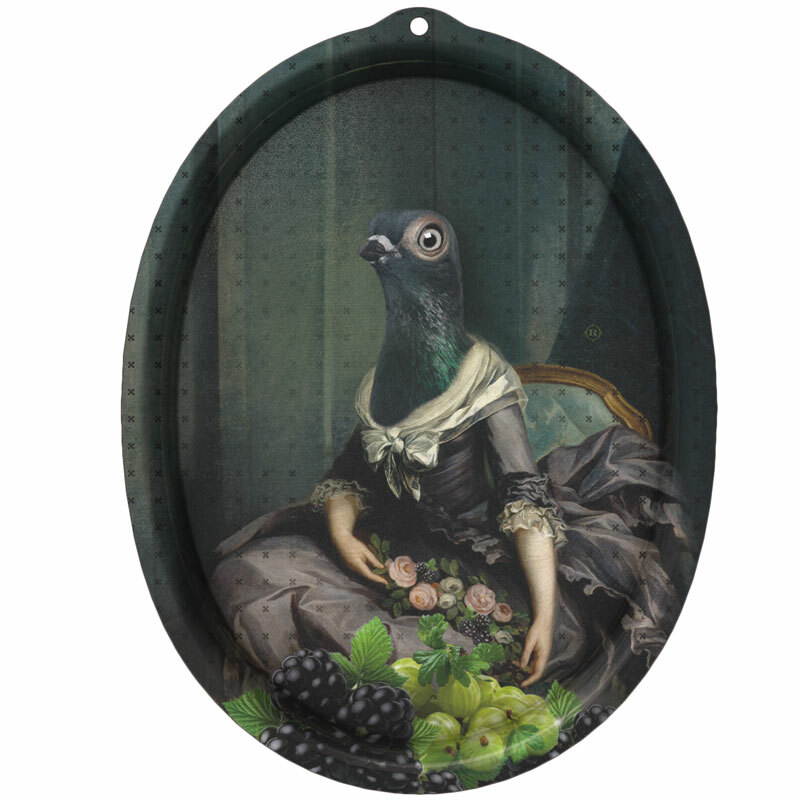 Of course, it doesn't have to actually be an antique. 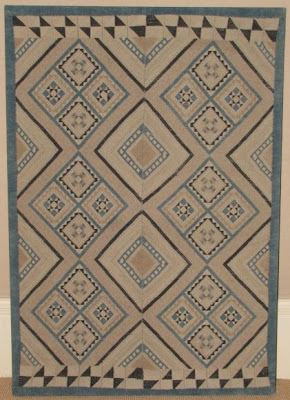 I've thought a lot about Nick Olsen's hand-block print bedspread from William Wayne. It's really good looking. Why couldn't I use a bedspread as a table cloth? I may have to call William Wayne and inquire about one. Top image from Soane Antiques; Olsen photo from New York Social Diary, Jeff Hirsch photographer. I can't tell you how many times I've been fooled by that old black (and white) magic. 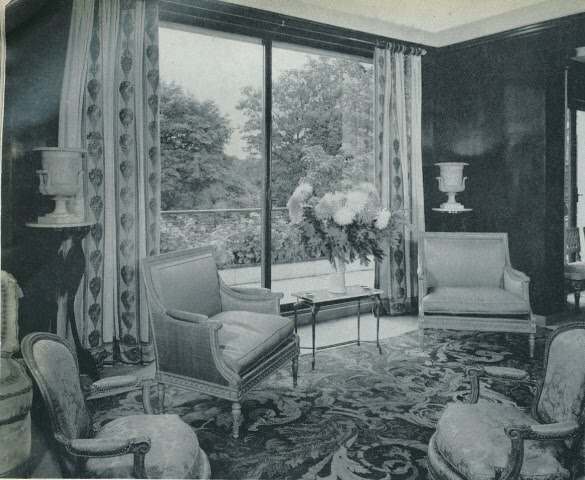 I'll see a black and white photo of an interior from, say, the 1940s or 50s, and often I'm captivated by the room's perceived atmosphere. The photo usually makes the space seem so dramatic. 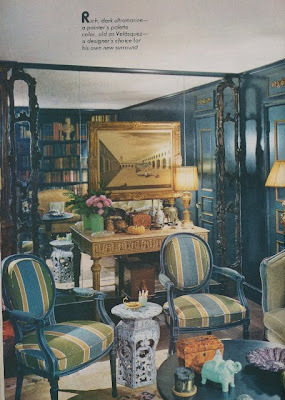 But then, I might later come across a color photo of the same room and, whoa, everything comes to a screeching halt. 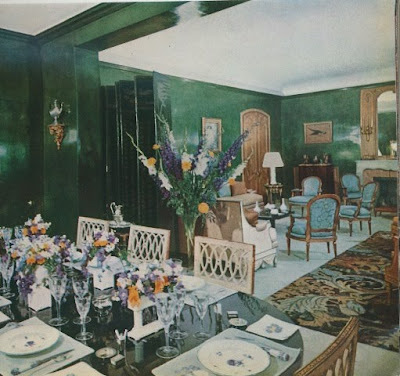 Who knew that the room was painted in such a garish color? Or, as is often the case, the room looks dull as dishwater. What happened? 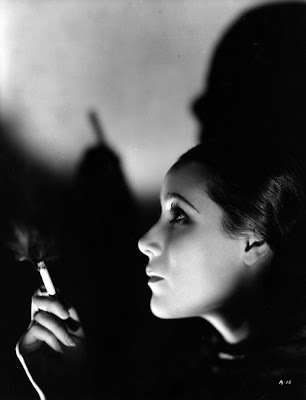 I guess it must have been the lighting and those moody black and white shadows. But sometimes, the opposite happens. 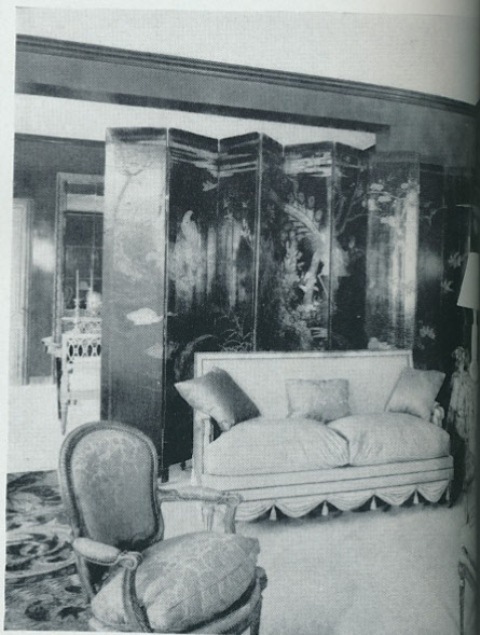 While looking through old Connaissance des Arts- you remember, the annotated ones once owned by the Bevery Hills doctor?- I came across photos of a Paris apartment owned by Madame de P. Yes, that was how the magazine protected the homeowner's anonymity; it made her sound so mysterious. 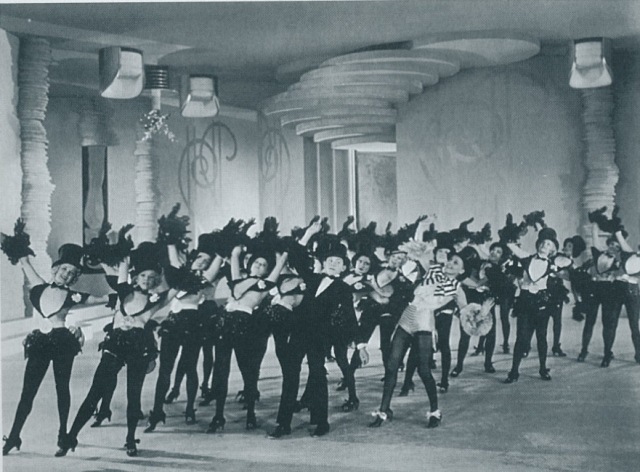 Anyway, the black and white images, above, are nice but a little ho-hum. But wait, look at the color versions below. Lacquered bottle green walls? A kelly green sofa in front of a emerald green niche hung with a multitude of plates, not to a mention another green niche in the corner with yet more plates??? Wow. I'm pea green with envy. I guess the grass really is greener on the color side. Quirky for the sake of being quirky can be, well, a bore. 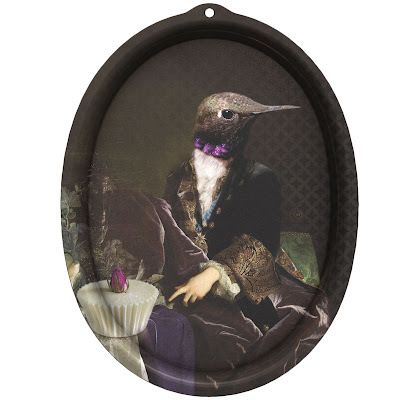 But sometimes, a touch of quirkiness can be most interesting. 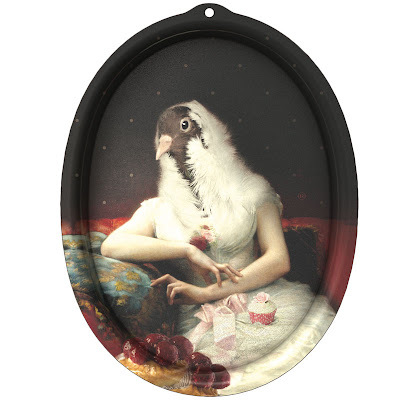 I sometimes like to add something to my home that is a little off, perhaps a little odd, and a bit incongruous with the rest of the surroundings. You know, that thing that you look at and think "Well isn't that a little weird...but kinda wonderful too." That's what I thought when I saw these very cool laminate trays at switchmodern, a very cool store here in Atlanta. 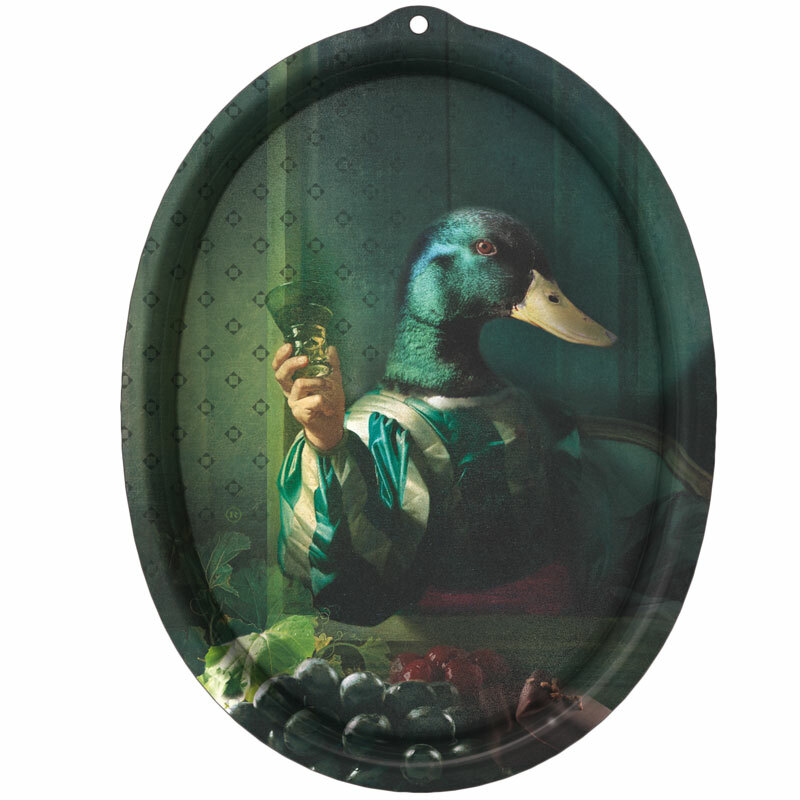 At first glance, you might think the trays' designs are based on paintings by an Old Master. But look closely and you'll see that the subjects- mallards, zebras, birds, and monkeys- are posing and preening in all kinds of anthropomorphized settings: wearing an Elizabethan ruff; holding a shepherd's staff; even holding a glass with human hands. What's great is that not only can you use these trays for serving, you can also hang them as art thanks to wall hooks. 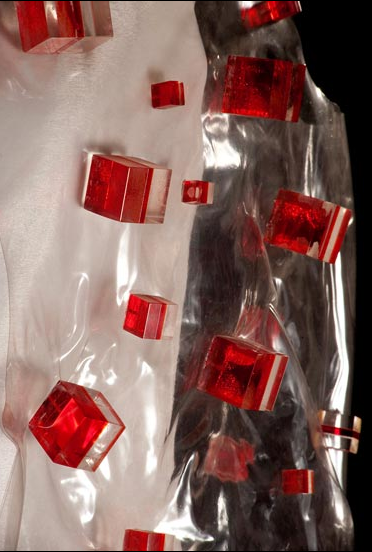 There are different sizes and shapes as well as a wide variety of subjects. 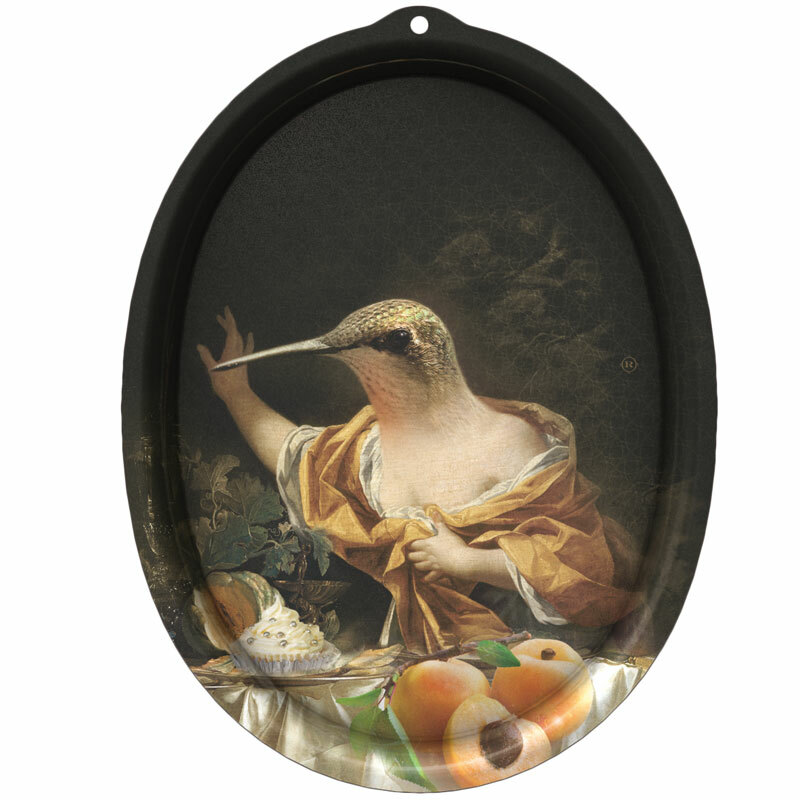 I'm only showing the small bird trays here, but to see other trays, visit switchmodern's website. Now, should I buy Achille, the socialite, seen at top? He looks like he's having a high old time. Or maybe Octavie, below. She's posed with peaches, something that is near and dear to this Georgia girl's heart. I've always been enchanted by the story of John Fowler spending hours holed up in the Victoria & Albert museum studying its collection of women's costume and dress. Certainly not a bad way to spend an afternoon, and an endeavor that proved fruitful during his career. 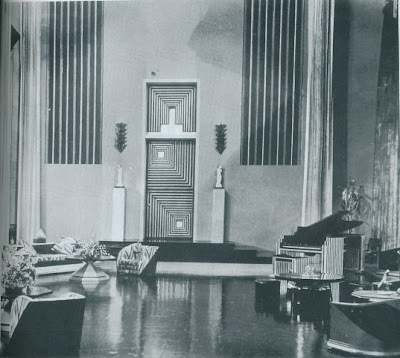 After all, he was and still is the undisputed master of curtain making and design. 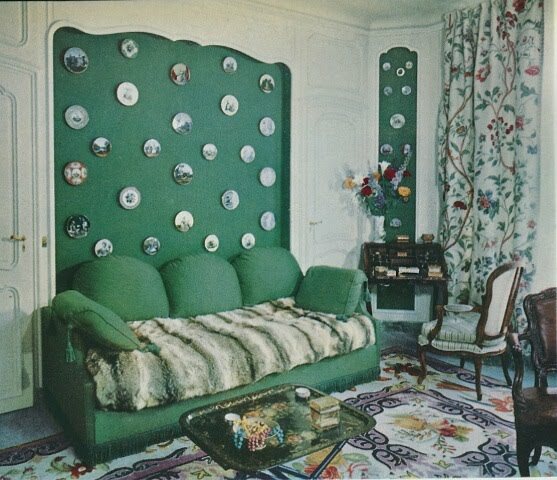 So many of his curtains resemble elaborate ballgowns, don't they? 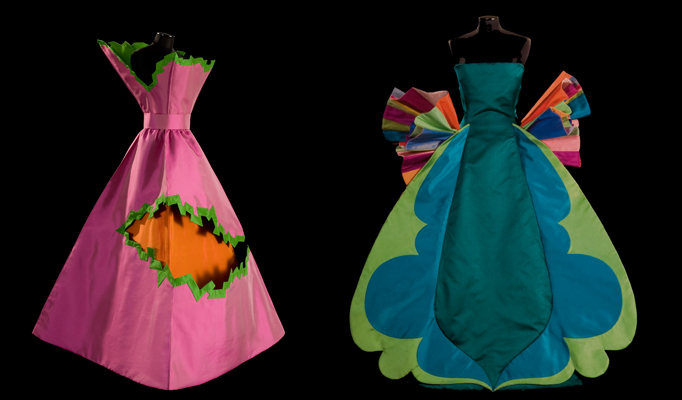 If I lived in Philadelphia, you can bet your bottom dollar that I'd too hole myself up and seek design inspiration at the Roberto Capucci: Art into Fashion exhibit at the Philadelphia Museum of Art. 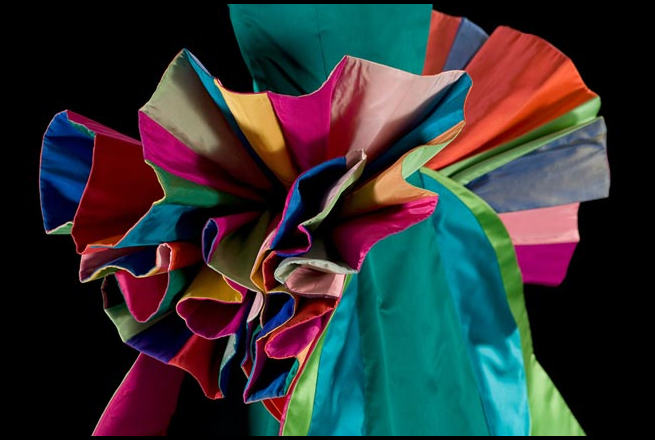 The exhibit celebrates the forward-thinking Italian fashion designer and artist noted for his inventive construction and use of fabric. Worn by the likes of Marilyn Monroe and Gloria Swanson, Capucci's creations have also influenced younger designers including Ralph Rucci, one who is also noted for his architectural approach to fashion. 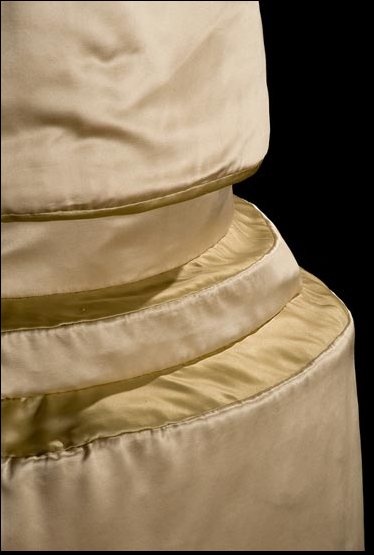 Speaking of architecture, one of Capucci's most famous designs is his Colonna dorica dress, a silk satin creation based upon, yes, a Doric column. So what's to glean from this exhibit? Well, an obvious answer would be the construction of the clothing. 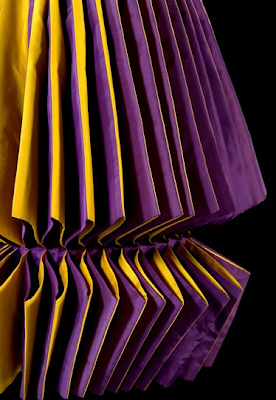 Look at the pleating of one dress or the voluminous skirt of another. Could that be translated into curtains? A lamp shade? 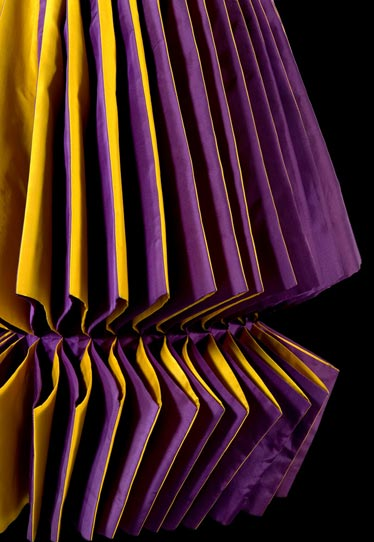 Even an elaborate table skirt? Think about the weird but wonderful details he used like plastic cubes and pebbles. And of course, there are those riotous color combinations. Unfortunately, I don't think my travels will be taking me to Philadelphia this spring, but if you happen to be in the city from March 16 through June 5, I urge you to visit the museum. That way, you can tell me all about it. 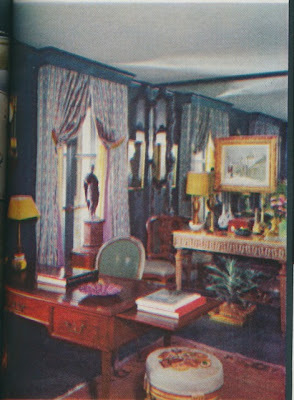 In the meantime, I plan to purchase the exhibit's corresponding book pronto, as Roberto Capucci might say. 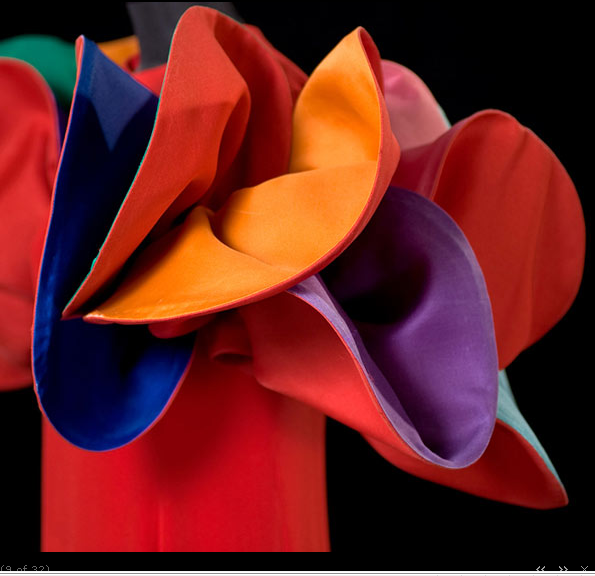 Bocciolo (Bud) Dress, a 2009 reproduction of a 1956 original, made of silk taffeta. 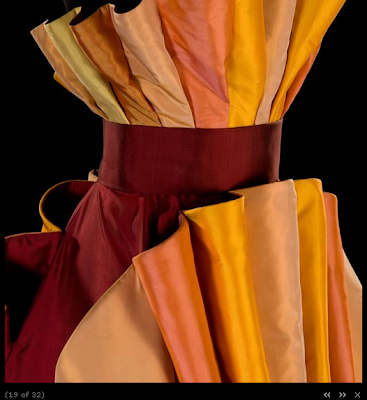 Colonna dorica (Doric Column) Sculpture Dress, 1978, silk satin. Silk shantung taffeta and silk georgette dress with pebbles, 1972. Sculpture Dress, silk taffeta and silk georgette, 1980. 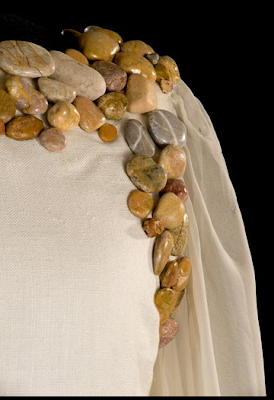 Sculpture Dress, silk crepe and silk gazar, 1984. Sculpture Dress, silk velvet and pleated silk taffeta, 1987. 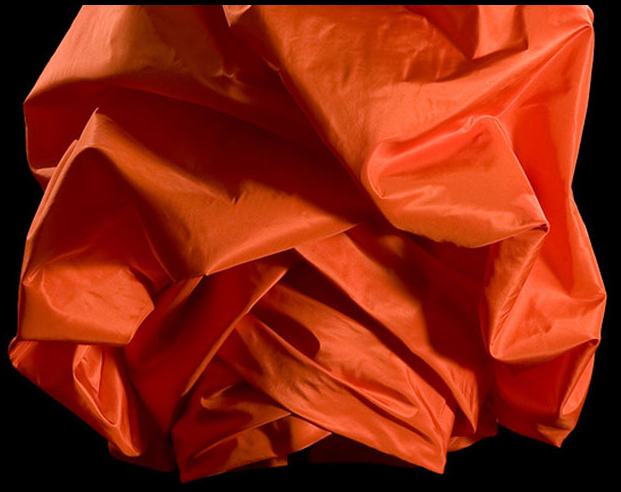 Sculpture Dress, silk taffeta, 1987. 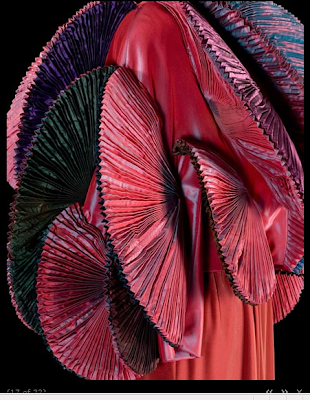 Sculpture Dress, pleated silk taffeta, 1992. Sculpture Dress, silk satin, 1992. 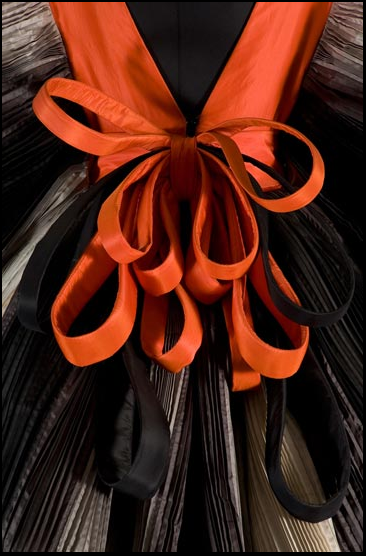 Sculpture Dress, silk taffeta, 1992. Amster was very much a traditionalist as you can see in the photos above which show his Amster Yard living room in 1971. 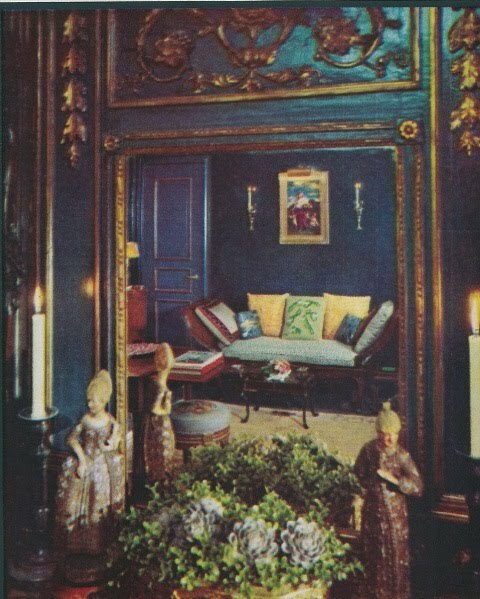 Antiques and gilt seemed to have played important roles. 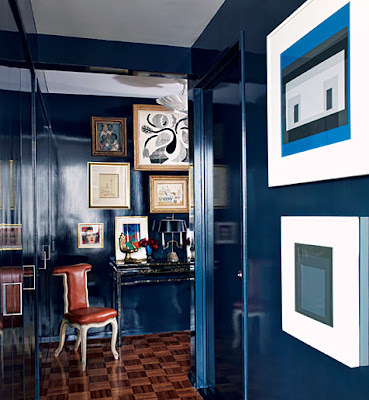 What struck me most, though, was that truly luscious shade of glossy blue on the walls. 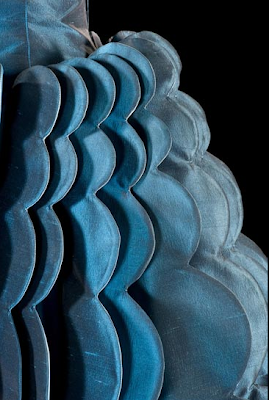 The ultramarine color was achieved by custom mixing peacock blue, black, green, then more blue and more black. The painted walls were lacquered as well. Stunning. This apartment reminded me of Todd Romano's that was recently featured in Architectural Digest. That too has glossy deep blue walls as well as a smattering of traditional antiques. 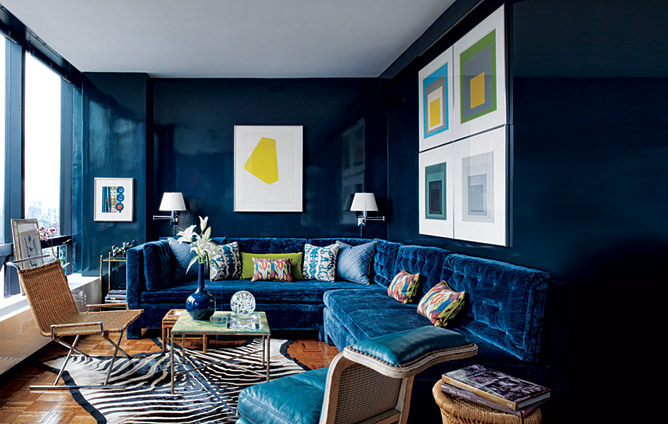 Romano's home, though, is a great example of "the mix." Amongst the more traditional pieces you'll find modern art and contemporary furnishings. Perhaps Romano is the James Amster of the 21st century? Amster photos from House Beautiful, September 1971; Romano photos from Architectural Digest, February 2011, Thomas Loof photographer. I've been trying to create a Cedric Gibbons moment in my study. Nothing lavish, mind you. Not like that set above, but rather a small statement. 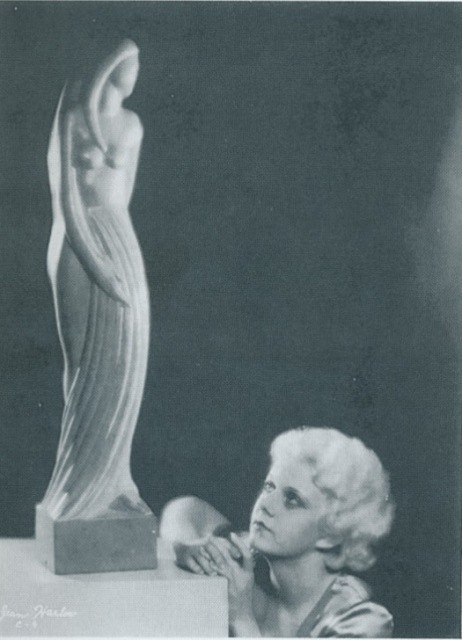 I wanted it to be something you might see in a Fred and Ginger movie. Of course, it had to be black and white. After all, most of my favorite movies are black and white. It needed to cast a dramatic shadow. And have a touch of the Neoclassical. What, oh what, to do? Thanks to lamp.work.room, I found it...I mean her. 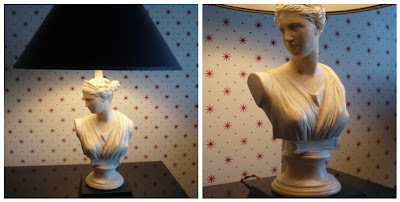 A 1930s Grecian bust lamp with black base. As soon as I saw it on their website, I knew that this was to be my study's MGM moment. I think Cedric would have liked it. Don't you? Although currently there are not other bust lamps on their website, lamp.work.room has some really fantastic antique, vintage, and contemporary lamps. I encourage you to check out their website. I'm anxious to buy another lamp from them, hopefully sooner rather than later.